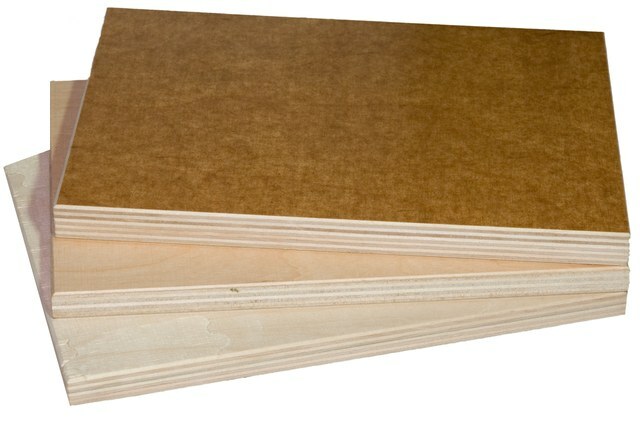 Plywood with highly improved build quality, without any openings of veneers both on the surface and in the core of the panel (such openings can badly alter process of cutting by laser beam). Produced from hardwood (100% birch, 100% alder, birch/alder), based on urea-formaldehyde or melamine-urea-formaldehyde resins. 3, 4, 6.5, 9, 12, 15, 18, 21, 24, 27, 30, 35, 40, 45, 50 mm.